We Help High Risk Drivers Save! Save On High Risk Car Insurance! People miss payments. Sometimes it just slips our mind, we forget to make a payment until after the due date, there is an issue with our automatic withdrawal, we change bank accounts and forget to notify our insurer, or something happens in our lives that prevents us from making a payment. Insurance is no different, and many people miss payments. While missing a payment on your phone or cable bill may not have severe repercussions, non payment of insurance can quickly land you in some hot water with your insurance company. What Is The Impact Of Non Payment On Your Insurance? A non payment is taken very seriously by insurance companies. Even if you don’t mean to miss a payment, it can still have an impact on your insurability now and going forward. Is A Missed Payment On Insurance A Big Deal? A missed payment on your car insurance or a missed payment on your home insurance should be addressed immediately. Whether your insurance company contacts you or you notice the missed payment, address the issue immediately. Sometimes amid paying other bills, moving money into your account and other factors, a payment can get missed. But even one late payment, intentional or not, can cause your insurer raise your rates or choose not to renew your policy – so yes, a missed insurance payment can be a big deal, especially if you don’t handle the situation in a timely manner. How Do Non Payments And Missed Payments Affect My Insurance? Cancellation : Insurance cancelled for non payment and you could have a lapse in insurance coverage. Increased Premiums : A premium rate increase upon renewal. Insurance History : Non payment will be noted on your insurance history. May Require High Risk Insurance : You could be considered high risk and require high risk insurance. Additional Fees : Late payment or NSF fees may be charged by the insurance company. Payments : Insurance companies may require you to pay your premiums upfront in 3 or 6 month terms or even a complete full year term. Don’t forget that even if you have your policy cancelled and you get home or auto insurance from a new insurer, outstanding payments will go into collections and can impact your credit rating – another factor that could impact your ability to get insurance in the future. Auto Insurance Cancellation For Non Payment - Now What? Car insurance after cancellation for non payment can be a challenge. A recent or previous cancellation due to payment issues will create a gap in your insurance history and new insurers will want to know why you have a gap in coverage. Don’t lie to them – if you lie to them during the application process, they will have grounds to cancel your policy if they find out. Tell them the truth, even if it means higher car and home insurance rates. 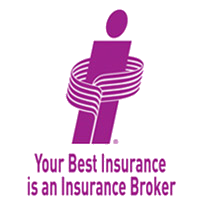 As with any other form of insurance, your best option is to shop around and work with an insurance broker to compare quotes to get the cheapest non payment insurance rates possible. If you fear that you could be cancelled for non payment, it’s best to act now to explore your options and compare quotes before you are actually cancelled by your current provider. How Long Does Non Payment Stay On Insurance? The amount of time a non payment stays on your insurance record will depend on whether or not you are with the same insurance company, whether you have switched insurance providers, and the severity of non payment issues. Some insurance companies go back 3 years, others 6, and some look as far back as 10 years when providing quotes for insurance coverage. Non payment will impact your insurance short term; and it could impact you long term, and even when you switch to a new insurance company. Monthly Payments : Pay monthly if you fear you will not be able to pay a lump sum annually. Reminders : Set a reminder in your phone to make payment. Auto Payments : Set up automatic withdrawal or payment from your bank account or credit card. Account Balance : Have a buffer in your account to ensure you have enough money for payment. Lower Rates : Explore options to lower your insurance rates. If you have been labelled high risk and require non payment insurance, our brokers can help you get the home and auto insurance coverage you need to get back on track. Contact us today toll free 1-855-550-5515 to get a quote or compare high risk insurance quotes online. <<House Water Damage And Prevention - What Is Covered By Home Insurance?